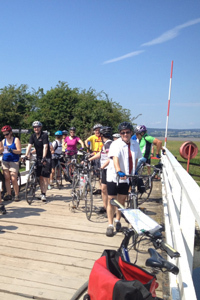 Social easy rides for members new to cycling or those who just want to enjoy the countryside and good company on their bikes. These are sometimes called our “Bimble Rides”. Weekday evening rides during the summer. Slightly faster, but not a rush, these are to stretch those cycle legs after work and provide something shorter than the weekend rides. Saturday or Sunday day rides. These are for the riders who want to cycle more miles and at a faster pace than the Bimbles. It’s still about the group and often riders progress to these after Bimbles and weekday cycles. 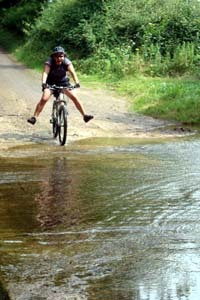 Cycling trips. These are longer touring type rides over several days and longer distances. A nice trip away on the bike. Nowhere cycles: based at one location we go out each day on loop rides without having to carry our kit but still doing the miles. Faster Road rides. Normally evening rides but moving toward day rides for those who do want to cycle at “pace.” Stripped down to the lightest kit and aiming not to stop as much, these are testing and get the heart going.